Police are looking for two suspects believed to be in their teens who robbed a Brooklyn convenience store at gunpoint earlier this month. 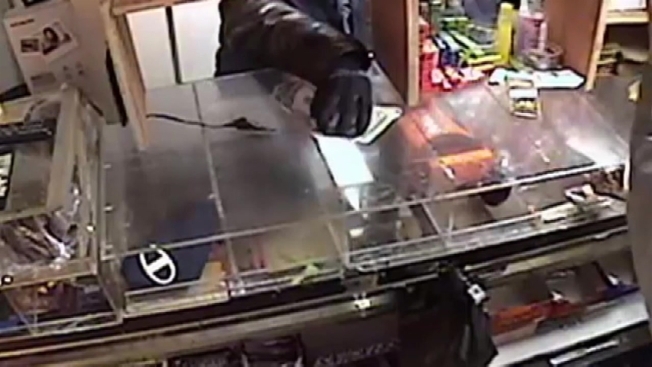 In surveillance video released by police of the Feb. 9 robbery in Bushwick, one of the two suspects can be seen holding a handgun up to the 20-year-old store clerk and demanding cash. The other suspect takes $400 from the counter and the two suspects then leave the store. Anyone with information on the suspect is asked to contact Crime Stoppers at 800-577-TIPS.